Operated by Mary Gregory, Gregory Family Child Care is a California State Licensed home child care facility located in the North Park community of Valencia CA. We provide full time care for children from one to five years of age and have been doing so since 1989. If space is available, we also provide part time care. Occasionally, we also care for children younger than one year, but this is limited to siblings of older children already in our care. We provide a loving and nurturing home teaching environment and enable our children learn as they grow. A typical day child care here is action packed and busy! The children learn new things everyday and when it's time to move on to Kindergarten they are well prepared and ready to continue learning. Although our license allows us to provide care for up to 14 children, we usually keep the count down to 11 or 12, especially if one of the children is very young. We employ one full time assistant and multiple part time assistants to help as needed. Our hours of operation are from 7:00am to 5:30pm, Monday thru Friday. As providers, we are committed to making daycare a positive extension of the family unit. The children in our care are safe and happy in an environment of tender loving care! We have a separate family room / playroom complete with toys that are very accommodating to children of different ages and developmental stages. We have closely monitored inside and outside play that includes free play and structured play (circle time, storytelling, music, arts and crafts). The backyard is fenced and equipped with many fun activities such as Little Tikes play gear, sand and water play, riding toys, and more. We are focused on teaching your children and following a structured curriculum for each child's age level. The children learn manners, sharing, how to behave socially with others, letters, numbers and everything needed to move on, fully prepared for kindergarten. Most of the local kindergarten teachers know of us and we often receive positive accolades about how well prepared our children are once they move on to school. In fact, we have been providing care for children of local teachers for years. We know how difficult it can be for parents to leave their child and go off to work. That's one reason we like to share our daycare activities on our Gregory Family Child Care Facebook page. Certainly, on the surface this is a small thing, but you'd be surprised at how much the parents love to see their children during the work day. Because it's Facebook, it's so quick and convenient for parents to take a quick moment from their day to view and comment on the activities of their children. With the parents permission, we make every effort to see that each child appears in the photos and parents can see their activities. 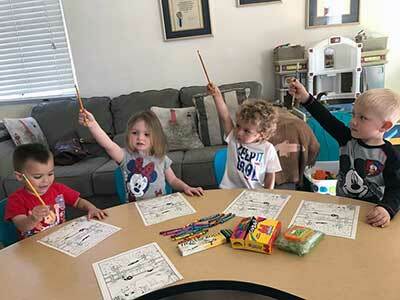 Gregory Family Child Care is also active on Facebook and with the parents approval, we share our daily activities, complete with photos or videos. Yes, the page is public however it's intended to enable the parents and other family members to see photos of their children participating in their daily activities. Everyone really enjoys this sharing and it's nice to take a break from a busy work day to see what's happening with their children at childcare. When we first started our Facebook posts we were very surprised at how popular it would turn out to be. Actually the grandparents, aunts and uncles seem to enjoy seeing the kids the most. Many of the photos are somewhat humorous but they are also very popular. We feel fortunate to be entrusted to care for children that are so well loved by everyone. When we first started our Facebook posts we were very surprised at how popular it would turn out to be. Actually, it seems like the grandparents, aunts and uncles seem to enjoy seeing the kids the most. Many of the photos are somewhat humorous but they are also very popular. We feel fortunate to be entrusted to care for children that are so well loved by everyone. We can go on talking about ourselves and our services, but what really matters is what the parents and family members have to say. You might be surprised to learn, some of the children in our care are actually children of children we care for years in the past. Honestly, we don't think any reference could be any better than that. See below a few examples of our reviews and there are plenty more available on our Testimonials page and even more on Facebook. Teacher Mary Gregory and her incredible staff will ensure your child is not just taken care of, but nurtured, educated, loved and encouraged. My grandson was lucky to have been with Teacher Mary until he entered kindergarten. Every day was a fun adventure and a learning experience. 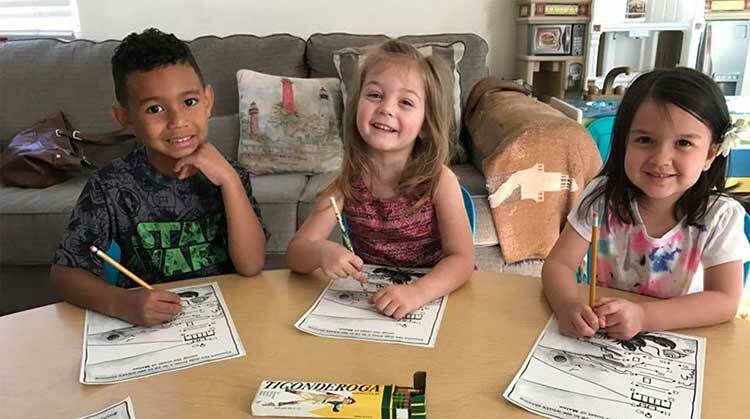 He started kindergarten with a great advantage, not just in knowing the basics, but understanding how to behave in class, how to treat other kids and teachers. Your children deserve the best beginnings - and you will get that for them at Gregory Family Child Care. I can't imagine a better place to have your kids. It's obviously all about the kids and the learning and fun adventures never end. Good people. My son played football with Mary's son Tim and I saw what a great person she is first hand. Now both my granddaughters are in her care and it's amazing to see the love and care they get. Wonderful team and the girls are learning so much. Thanks Mary and team.